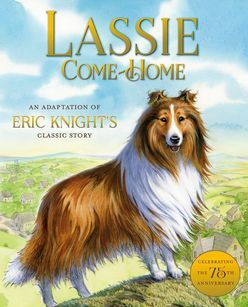 First published in 1940, Lassie Come-Home is one of the best-loved dog stories of all time, inspiring several movies and TV shows. To celebrate the 75th anniversary of the original book, here is a brand new picture book about this beloved collie with a fresh and appealing look just right for a new generation of dog lovers. The classic dog story is now a beautifully illustrated picture book, perfect for reading aloud.